Lufkin Artisan diameter and tree long blade tape measures feature a high impact Hi-Viz orange polystyrene case, yellow clad blade (.005''/0.13mm thick), easy wind nylon drum and easy-to-read black and red markings. Lufkin Artisan diameter and tree long blade tape measures have a large easy winding drum and friction washers and nylon rollers that guide the tape smoothly in and out of the case. A ''T'' in the part number denotes a tree tape which is fitted with a special claw hook designed for anchoring in tree bark. A ''P'' in number part number denotes diameter. The C106TPMN Lufkin Artisan Diameter and Tree Long Blade Tape Measure is one of thousands of quality tooling products available from MRO Tools. 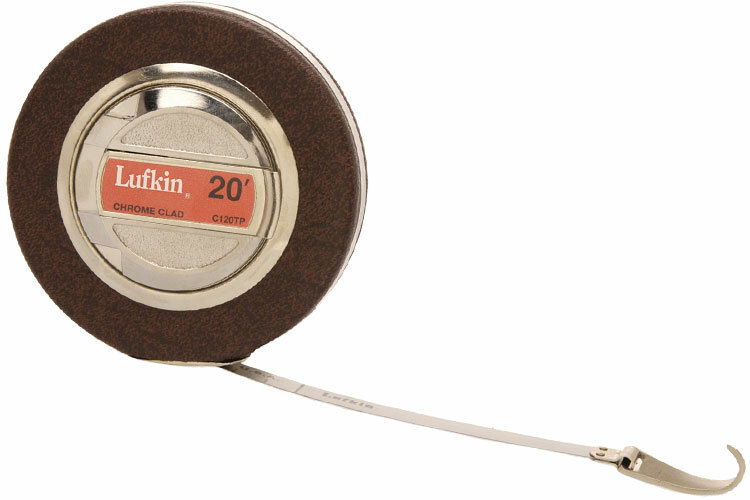 Please browse Lufkin Artisan Diameter and Tree Long Blade Tape Measures for tools similar to the C106TPMN Lufkin Artisan Diameter and Tree Long Blade Tape Measure. C106TPMN Lufkin Artisan Diameter and Tree Long Blade Tape Measure description summary: Lufkin Artisan diameter and tree long blade tape measure. Blade Size Width: 10mm Blade Size Length: 6.5m Blade Style: B15 Quantity discounts may be available for the C106TPMN Lufkin Artisan Diameter and Tree Long Blade Tape Measure. Please contact MRO Tools for details.